Lead Story: It’s been over a week since the first news of the death of local rapper Lil Jojo and the investigation into the involvement of rising local rap star Chief Keef and there’s still no new news. Rumors of Keef being brought in for police questioning circulated on Twitter earlier this week but were never substantiated. 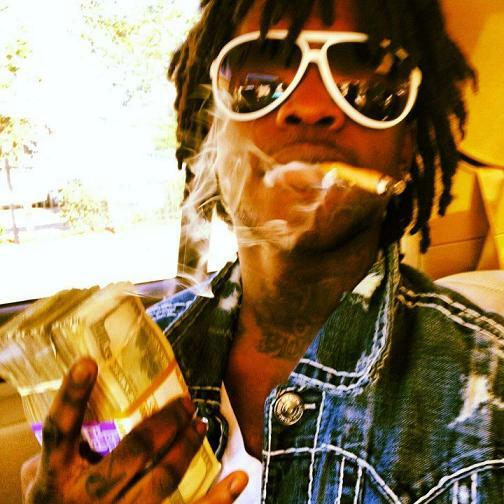 Keef still insists that his account was hacked and later tweeted a more appropriate tribute to the fallen rapper. Another local rapper, No I.D. weighed in on the feud between Keef and Lupe Fiasco but just this week Fiasco seemed to be seeking a truce. Another rap star, Fifty Cent, came to Keef’s defense this week, pointing to the lack of charges against Keef as a reason to withhold judgment. And now local rapper Lil Jay has remixed the Lil Jojo track that allegedly led to his death, promising vengeance for Jojo’s killing. Of course, with all this back-and-forth, what’s lost is that an 18-year-old boy is dead and a 17-year-old rival is eyed as being connected to the murder; if nothing else, 2012 will be remembered for being the year of the gun in Chicago and Lil Jojo’s murder the symbolic incident of the city’s spiraling gang and poverty problem that’s spurred the violence these same rappers embrace and even celebrate. Also: It was a bad, bad night for the Bears in Green Bay, the magic of the week one offensive explosion gone as the Bears offense sputtered and the Packers pulled away 23-10. The entire game was mainly a defensive struggle as neither Pro Bowl quarterback – the Bears’ Jay Cutler or the Packers’ Aaron Rodgers – developed a solid rhythm. A poor performance from the Bears’ offensive line had Cutler scrambling and tossing wild throws that led to several Cutler sacks (six, actually) and interceptions (four, actually), a bad case of deja vu for Bears fans. Dropped passes, including a sure touchdown throw bobbled by Brandon Marshall, didn’t help, either. At least the team gets a few extra days off before their next game on September 23 when they welcome the Rams to Soldier Field. And then: In one of the more bizarre stories this week, Fox Chicago unearthed a bid at O’Hare for a goat herder. After a little digging, they found that the city’s aviation department is looking for someone to oversee a herd of goats to be used to keep grass and brush levels near the airport that’s hard for mowers to access. Other cities that have already instituted such a program include San Francisco and Atlanta. It’s a pretty great idea and probably pretty cheap. But one has to question whether or not this is really the right city for goats. On the other hand, let’s see this bid go out just to see which alderman has the clout to get his brother-in-law’s goat business a contract. And which alderman has a brother-in-law with a goat business. Released: The full two-minute trailer for the upcoming Steven Spielberg-directed Abe Lincoln biopic starring Daniel Day Lewis. Strange happenings in China were the next president is still out of sight but not out of mind. On the 150th anniversary of the Battle of Antietam, an interesting look at the sweeping reenactment. New York City mayor Michael Bloomberg’s big gulp soda ban in NYC has gotten the green light and will go into effect next March. Britain has a great new way to deal with unruly movie theater patrons: ninjas. And just because it’s Friday, meet the world’s tallest dog. The Christopher Vaughn murder trial, largely overshadowed by the Drew Peterson case, could head to the jury early next week. Don’t hold your breath on state pension reform. State senate president John Cullerton says a vote won’t happen until at least January. Even as the paper moves on from the Journatic fiasco, the Chicago Tribune is still cutting back on TribLocal sections. Despite the city’s brief reprieve from its violent year, things are still so crazy even temp agencies are unwittingly setting gangs against each other. The Reader weighs in on the teachers strike, exploring how the teachers reached this point of frustration with the mayor. Sox Watch: With their lead over the Tigers reduced to just one game, the Sox will have to wait until Monday to earn one back the easy way as last night’s game was postponed due to rain. It was an emotional day for Derrick Rose yesterday as he announced his new shoe, the Bulls star breaking down in tears while discussing his injury. But the good news? He’s making great progress. There hasn’t been much fuss – yet – over the fact the Cubs and Sox will only play each other four times next year in back-to-back two-game sets at each park in late May. There aren’t any signs yet of a buyout for Notre Dame to exit the Big East early to head to the ACC, but if they get one, it won’t be cheap. Don’t get too excited, hockey fans: things look grim as a lockout looms this weekend. Saturday Night Live debuts its new season tomorrow night and they’ve finally got a different cast member to portray President Obama. Jay Pharoah, who’s been painfully under-utilized since he joined the cast, will play the Commander-in-Chief this season.